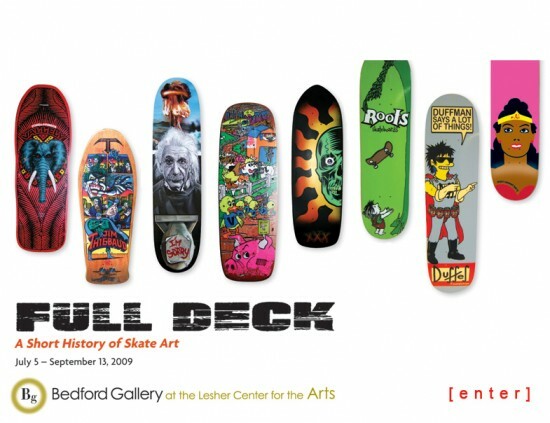 Corey Duffel will be at the Bedford Art Galley on July 9th 6:00pm - 9:00pm If you are in the Walnut Creek area come on by and check it out. Saturday was the grand opening for the first CCS store located in Santa Monica. Check Tum Yeto for all the photos. Angel was there and bumped into Griff Dog. 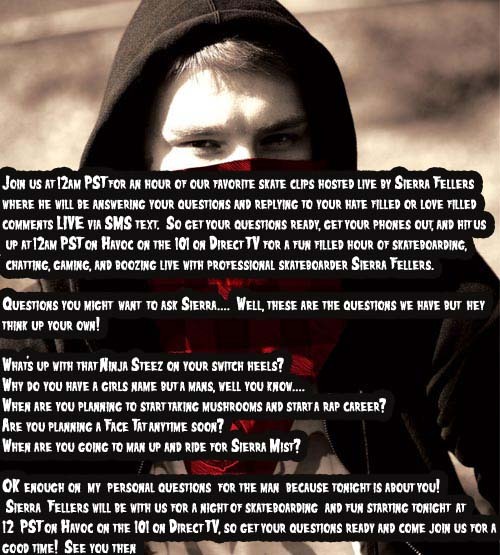 SIERRA FELLERS TAKEOVER! LIVE TONIGHT @12am PST on Havoc on the 101 on Direct TV! 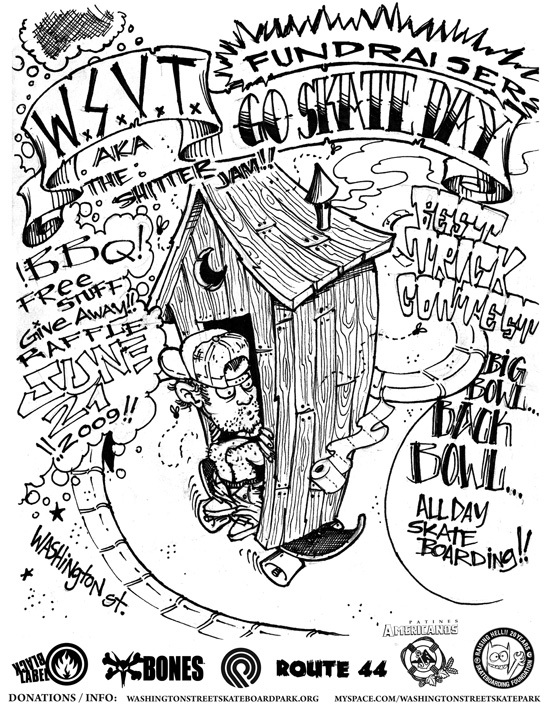 COME JOIN US AND ENJOY AN HOUR OF THE BEST SKATEBOARDING IN THE BUSINESS ALONG WITH GUEST HOST AND CHATTER SIERRA FELLERS! SEE YOU TONIGHT. Drove into Denver and met up with Angel yesterday. David told me about a new park just outside of Denver, so we drove straight from Albuquerque to Colorado Springs for a quick session. Good times. 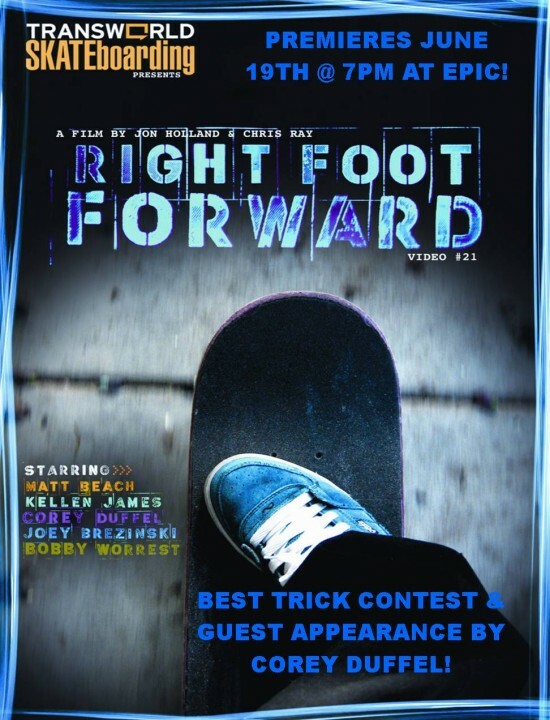 If you missed the 1st premiere of Right Foot Forward you can try to catch these if you are nearby. David is headed out to New Mexico and Denver this month. Check back this weekend for updates. 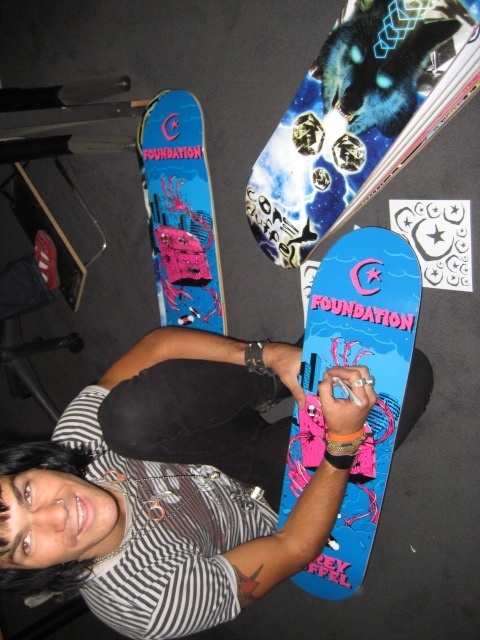 Corey just stopped in and signed some boards. He is in town for the TWS Awards and the Premiere of Right Foot Forward. Don't miss it! 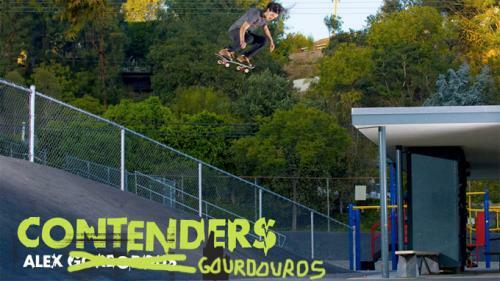 Check out David's warm up right here and pick up the Thrasher photo issue for the real photo.